A dirty grease trap or vent hood in your commercial kitchen is like kindling for a fire. State Systems, Inc. knows any restaurant or establishment that cooks food commercially should have their kitchen vent hood system cleaned on a regular basis, as specified by national and local fire prevention codes (set by the National Fire Protection Association’s Code 96). 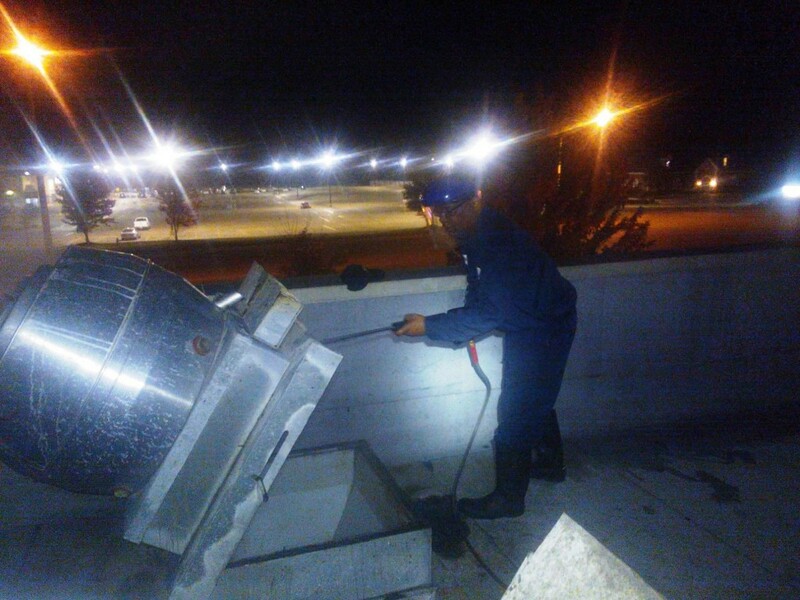 To schedule professional vent hood cleaning at your restaurant or commercial kitchen, call us today at 866-308-5701! A clean vent hood and exhaust system can drastically reduce the chance of a fire in your commercial kitchen, restaurant, or food preparation facility. As one of the primary defenses against fire hazards in any commercial kitchen, your hood and exhaust system should undergo regular maintenance. For more information about vent hood and exhaust system cleaning services for your restaurant or facility, or for a quote, contact us online or call 866-308-5701 today! To learn more about the vent hood cleaning services we offer, please contact us or call 866-308-5701.